1500 years ago, the Vikings were intrepid explorers who crossed the Atlantic Ocean. Today, their Scandinavian descendants are looking beyond the shoreline to take the lead in renewable wind energy. It is only a short trip on the ferry from Denmark’s mainland to Samsø, a small island that has recently claimed international fame. The ‘island in the middle’ of Denmark was once a central meeting point for Vikings. Today it welcomes delegations from around the world to showcase their Scandinavian leadership in renewable energy development. While in the rest of Europe the growth of renewable energy has slowed down, the 3,700 inhabitants of Samsø are taking the lead in the energy transition. Renewable energies like wind power are at the center of climate change discussions. In order to reduce greenhouse gas emissions and, more broadly speaking, better protect the environment, the EU aims to reach 20 percent of renewables in its final energy consumption by 2020 and 27 percent by 2030. To achieve this, member states and local communities have set their own, sometimes more ambitious, goals. Despite this intention, we are currently seeing a decline of renewable energy growth across Europe, according to Crowdfundres, a European project aimed at boosting renewables through crowdfunding. The growth of the EU-wide share of renewable energy sources has slowed down from a yearly average of 6.7 percent between 2005 and 2014 to 5.9 percent in 2016. The project statement of Crowdfundres notes that this is partly attributed to “the challenges for financing renewable energy projects.” Despite evidence of value - with costs decreasing as technology advances - traditional investors are particularly reluctant to fund wind, solar, and other renewables because of their intermittent nature and the limited energy storage opportunities. This makes it even more difficult to enter a market where fossil fuels and nuclear reign. Renewables also face challenges with location and consent: how do you place a windmill without blocking someone’s view, generating noise disturbance, or infringing upon a protected natural area? Despite these obstacles, Samsø already boasts a two-decade long success story for clean energies. It all started after the 1997 Kyoto agreements. Eager to prove that Denmark’s target of cutting greenhouse gas emissions by 21 percent was achievable, Svend Auken, who was at that time the Danish minister for the Environment and Energy, launched a competition among local communities. Ten years later, Samsø was generating more electricity from renewable energy than it consumed and had already set a new goal: becoming fossil free by 2030. The island followed its ‘master plan’, as Kristensen calls it with a spark in his eye. It established 11 one-megawatt (MW) wind turbines to supply the island’s 22 villages with electricity, making it self-sufficient. Another ten offshore turbines made it possible to offset the emissions from all transports on and to the island (cars, buses, tractors, and ferries). And it didn’t stop there: three quarters of the houses derive their heating and hot water from biomass boilers fueled by straw left from the harvest. “The farmers used to burn the straw,” Kristensen says. “Now, they compress it in 500-kilogram blocks that they sell to the local district heating plants. It’s a profitable business because the waste has been transformed into a resource.” The houses that aren’t covered by the district heating plants use individual solar panels or biomass boilers. Central to the transition of the island was not so much the technology, but its 3,700 residents. While the average Dane emits six tonnes of carbon dioxide every year, a local on Samsø boasts a negative carbon footprint of twelve tonnes. Their financial participation represents three-fourths of the total investment. The municipality covered the rest. Most of the windmills and heating plants are therefore either privately or cooperatively owned by local farmers and consumers. 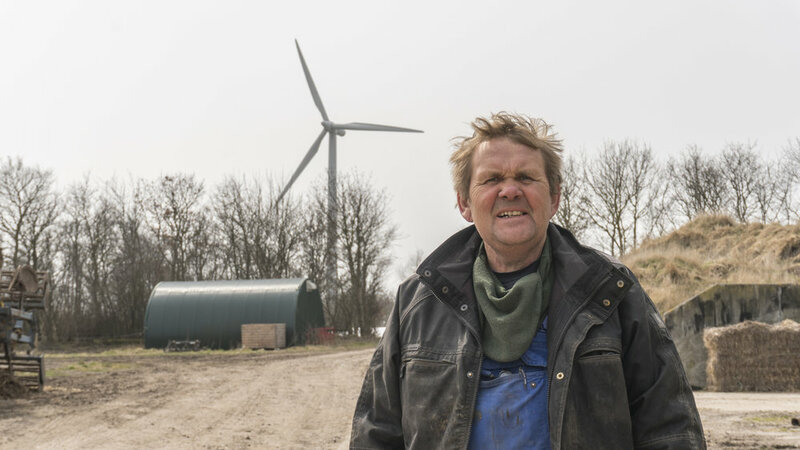 The Energy Academy’s CEO, Søren Hermansen - a farmer turned renewable energy advocate - managed to convince the more skeptical locals that the sustainable transition was worth participating in. How? “We invited the locals for coffee and cake,” Kristensen says with a smile. “The point was to participate in the meetings to decide on where to place the wind turbines,” he adds. “They were placed as a result of democratic, bottom-up discussions.” If a turbine needed to be moved a bit to the left or to the right, then that’s what the islanders and project developers did. Giving the inhabitants a say and ownership in the process made it possible to gain their acceptance, according to Kristensen. Admittedly, it was easier to do this than it would be to convince, for example, the 300,000 inhabitants of Aarhus, Denmark’s second biggest city, just on the other side of the sea. But according to Kristensen, it is all about identifying communities, even within bigger cities. There is a strong sense of belonging among the ‘samsings’, as they call themselves. 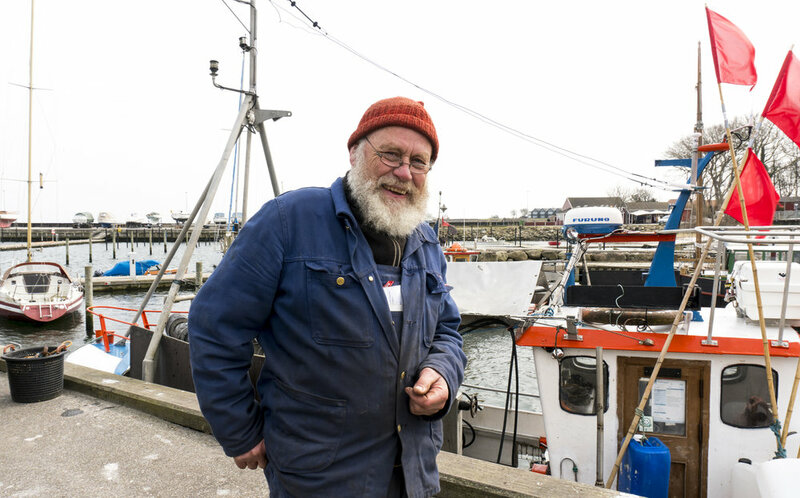 “Everybody says hi to each other, in the cars too,” says engineer Tom Albertsen while repairing a fisherman’s boat in the harbour. The residents of Samsø are welcoming to outsiders like him. He came ten years ago from the north of Copenhagen and owns solar panels on the island: “It’s a special thing for this island. If you want to do something [contribute, ed. ], then you will be integrated in the community,” he says as he opens his arms to mime a welcome. After all, the name Samsø itself means ‘the collective island’. Although the energy transition on Samsø is a unique case, similar examples can be found across Europe. In a tiny village in southern France, for instance, a solar farm was established last year thanks to crowdfunding. The municipality of Luc-sur-Aude, south of Carcassone, had received offers from developers who wished to install a plant in this sunny area. But they decided to turn to the citizens, so they would benefit from the capital gain, instead of distant investors. The electricity needs of the 240 villagers are now covered by the photovoltaic plant. To engage them as much as possible, the municipality held special office hours to discuss the project and ways to get involved. A sociologist was hired to better understand the expectations and possible doubts among the population. In less than a month, they had raised 270.000 euros through Enerfip, a French crowdfunding platform dedicated to renewable energy projects. The surge in the number of such websites is further evidence of the potential of this model of financing in the energy sector. Citizenergy is a meta-platform created by the European Crowdfunding Network (ECN) to support renewables through citizen funding. It already counts 39 million euros invested through 32 platforms across Europe. If big investors are timorous when it comes to renewables, then why would an average citizen venture into the field? When asked about his motivation, Tranberg pauses and his bright eyes deepen. “It was good business,” he says with a laugh. “I have spent 6 million kroners (800.000 euros) for the wind turbine here in 2000, and in 2003 I spent 12 million (1.6 million euros) for the one in the sea, and I spent 8.5 million (1.1 million euros) in solar panels on the roof out here, and also some in Italy, Germany and Belgium,” he details like an accountant. “I don't do it for the Earth, but because I see it as good business. I would never spend so much money on something that is not a good business case,” he adds in another light hearted laugh. And with reason: the onshore turbine paid for itself in seven years, leaving the remaining years of its 25 years lifetime to profit, and some maintenance. Thanks to this income, Tranberg could change his farming when his dairy farm was not profitable anymore. He lives in a recently built house, 800 meters from the windmill. Neither its aesthetic nor the noise bothers him: “It allows me to earn some money. It is the turbine that has paid for my new house,” he says. Kristensen and Albertsen also profited from the transition. Both live outside the range of a district heating plant, but after they swapped their oil furnaces for air-to-water heating pumps and solar panels, their heating bills were halved. It’s the same story in the French town, where one-fourth of the residents own shares in the solar farm. Their children will also receive dividends when they come of age. Aside from their wish to take part in a sustainable project, their parents saw a good investment opportunity. Shareholders remuneration will be higher than that of a savings account, according to Georges Mounier, president of the SAS (limited company) 1,2,3 Soleil that manages the plant. Becoming one of the first islands to be powered entirely by renewable energies has put Samsø in the international spotlight. Each year, the Energy Academy welcomes over 3,500 guests from around the world to give them firsthand knowledge on the whole experience. This boosts the island’s already busy tourism sector, totaling over half a million overnight bookings each year. Many jobs were created to complete the project, starting with nine people employed by the Energy Academy in order to implement new projects, organize the tours and represent the island abroad. Many insular communities look up to Samsø to meet their sustainable goals. In the northwest of France, inhabitants of the island of Sein created the limited company Île de Sein Energies in 2013. “Samsø is our model, our dream,” CEO Patrick Saultier, says over the phone. For years, they have been working together with the municipality and the islanders to build a master plan to implement renewables. But in this case, bringing the community together is not enough: the main energy producer and provider in France, Electricity of France (EDF), is obstructing the process, according to Saultier. After refusing to collaborate with Îles de Sein Energies, EDF announced in 2016 ‘the launch of the energy transition’. This will be implemented on Sein and two other Britton islands that are not connected to the mainland, and thus heavily reliant on fossil fuel. This project started “when they [EDF, ed.] found out that we proposed an amendment to gain control over the grid on the island” Saultier says. On the way to becoming fossil free, Samsø will face lobbying challenges as well. Government incentives such as guaranteed prices are key to opening the way for small, local investors, according to Kristensen: “The municipality should reflect the green transition in their plans. The national parliament also has a role because they make the framework for municipalities.” Big market players’ lobbyism may get in the way. “Because the industry drinks more coffee with people in Copenhagen,” Tranberg jokes. But the Energy Academy’s role, according to Kristensen, is also to influence policy. “We are trendsetters,” he says. The positive side? “We see ourselves as a catalyst in the process. And a catalyst can be reused all the time,” Kristensen says. “If you are going to have new wind turbines, instead of having eleven small ones, maybe you will have two big ones, because they are taller today. The consumer acceptance you got for the eleven small ones at the beginning, you need to gain again. You need to start from the beginning... and drink even more coffee.” Start, stop, repeat, but never give up. That is Scandinavian-style leadership.